[THE INVESTOR] Buzzvil, a Seoul-based startup that operates a smartphone lock screen advertising platform, said Monday it has won two patent lawsuits filed against Yello Mobile, a startup holding company that runs local mobile commerce service Coocha. By utilizing the software development kit, advertisers can display advertisements on lock screen and give rewards, such as cashbacks or membership points, to users on mobile applications. Yellow Mobile, which has around 80 startups under its wing, rolled out Coocha Slide, a lock screen ad service that mimicked those of Buzvil in December 2015. Yello Mobile had filed a separate lawsuit against Buzzvil in an attempt to nullify Buzzvil’s patent, arguing the intellectual property patent was invalid, as the ad platform startup had copied technologies used in mobile ad platform Cashslide, which is owned by mobile ad solutions developer NBT, but the patent court had dismissed the case. “Since Buzzvil’s patent is different from Cashslide in terms of objective, composition and effect, the patent that Buzzvil holds cannot be invalidated,” said the patent court in a ruling. 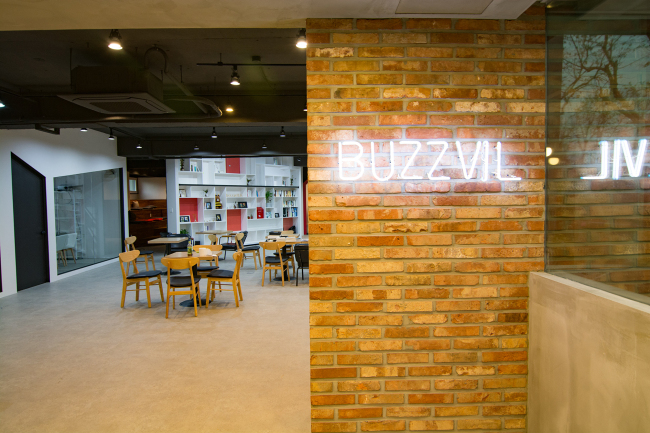 Founded in 2012, Buzzvil has acquired patents related to its mobile ad platform services in Japan and Taiwan. It took over Slidejoy, the No. 1 US smartphone ad platform operator, in November. The number of subscribers for the ad platforms, such as Honey Screen, run by the Korean startup now stands at more than 12 million. The fast-growing Korean startup raised 3 billion won ($2.6 million) in funding from Softbank Ventures Korea in 2013 and received 13 billion won of funding from a group of investors including LB Investment, KTB Network and Posco Capital in 2015.